When it comes to deciding on the right dog food for your four-legged friend the choices can seem endless. As well as deciding whether to use age, stage or breed specific foods, you need to decide on the type of food you want to feed your dog. Do you go for wet or dry food? 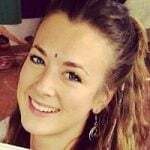 What about a raw food diet? Could you combine the convenience of one with the nutritional benefits of the other? Is this where dehydrated dog food can play a vital role? The answer is yes, it could. In this guide our pet experts and panel of dog lovers take you through the best dehydrated foods for your pet pooch. 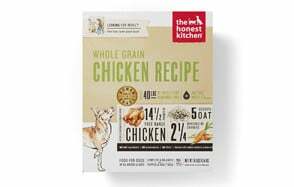 The Whole Grain Chicken Dog Food Recipe from Honest Kitchen is made from human grade ingredients. It is designed to suit the needs of puppies and active adult dogs of all sizes and breeds. 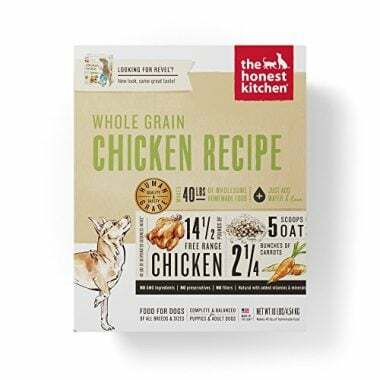 The recipe contains free range chicken and is made without any by-products, GMOs, or preservatives. Honest Kitchen uses whole foods and a gentle dehydration process to naturally preserve the food. This helps it to maintain its color, taste and nutritional benefits. Minimal processing means that the can aid in improving digestive health and combating common problems including itching and upset stomachs. Stella & Chewy’s Freeze-Dried Dog Food is made with 95% cage-free poultry. The remainder of the ingredients include organic vegetables and fruits, and all the ingredients that go into making this food are sustainably sourced. The food is made in small batches to ensure quality and is minimally processed to ensure that it retains as much nutritional benefit as possible. 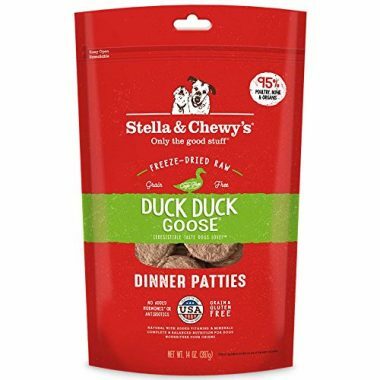 Stella & Chewy recipes contain no added antibiotics, hormones, fillers or grains. It is freeze-dried raw, so nothing is lost through heating or cooking the ingredients. The finished food is complete and 100% balanced for dogs at all stages of their lives. The carefully crafted food supports your dog’s digestive processes, improves appetite and can provide relief from allergies. It can also help to develop a vibrant skin and coat, support dental health and support a healthy immune system. 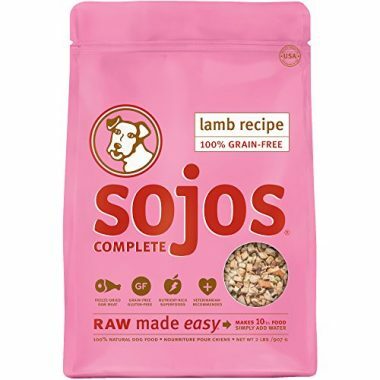 Sojos uses freeze dried lamb as one of the main ingredients in their freeze-dried complete food. All other ingredients are of premium quality and all natural, with no artificial preservatives, ensuring only the best for your dog. Sojos Complete is also grain, GMO, soy, and gluten free. It contains no added salt or sugar, making it safe for your canine’s digestive system. Each 2lb bag of dehydrated food makes 10lb of food once water is added. 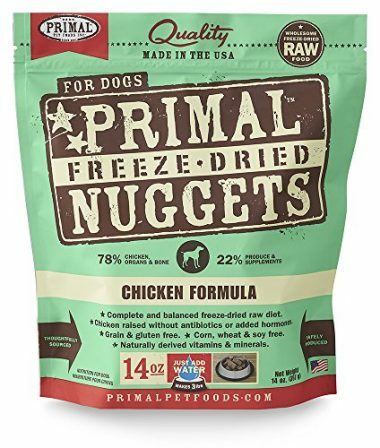 Primal Freeze Dried Pet Food is a freeze dried raw food that offers a complete and balanced diet for dogs at all life stages. It uses only natural human grade ingredients in its recipe and takes care not to add anything to the main ingredients that reduces the positive effects of the food on your canine companion. Chicken is the main ingredient, and the chickens that go into the food are raised without the addition of hormones, steroids, or antibiotics. This pet food from Primal provides the benefits of a raw food diet without the messy and time-consuming preparation. It is also free from grains, corn, soy and wheat. The vitamins and minerals it contains are derived from natural sources, so you can be assured that this food is safe and nutritious. 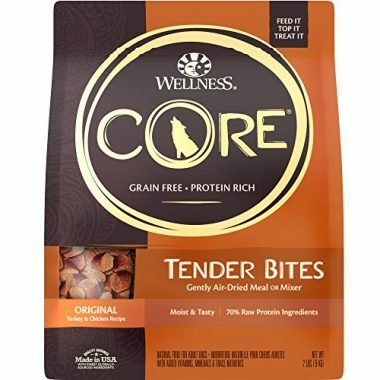 Wellness Core prides itself on providing a highly digestible food that is created with 70% proteins from premium sources including turkey and chicken. 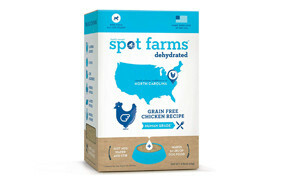 This complete and balanced food is also 100% grain free and contains no wheat, soy, corn, or meat by-products. It is also free from artificial colors, flavors and preservatives. To preserve as much of the foods nutritional value and flavor as possible the ingredients are gently blended and slow dried at a low heat, before being sealing for transport and storage. 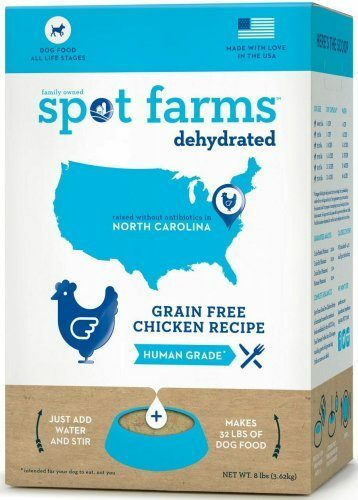 Spot Farms Grain Free food is made from human grade ingredients and is manufactured to the same standards as are required for human food. The food contains probiotics for digestibility but is free from antibiotics and only uses cage-free chicken in its recipe. The recipe also contains no by-produces, meat meal, or artificial color, preservatives, or flavors. The food can be used as a complete diet or used as an additional food to mix in with their existing favorite to provide additional nutrition. When rehydrated the food makes approximately times its original weight. 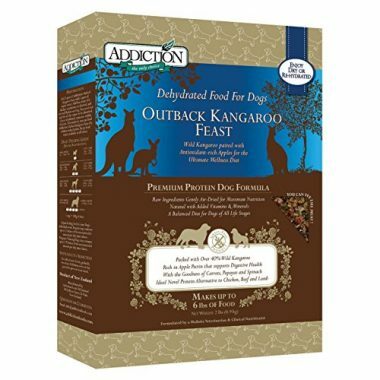 Addiction Grain Free Dehydrated Dog Food is made from wild Kangaroo from Australia and is processed in New Zealand. It contains high levels of conjugated Linoleic Acid for improved overall health and vitality. The recipe is also rich in apple pectin, which supports your dog’s digestive health. Your dog’s wellbeing is further supported by the recipe being free from fillers, grains, soy, wheat, and artificial colors, flavors and preservatives. As well as taking care of your pet, Addiction looks to take care of the planet by using eco-friendly meats. No only does this add to the flavor of the food but it contributes to eco-sustainability. 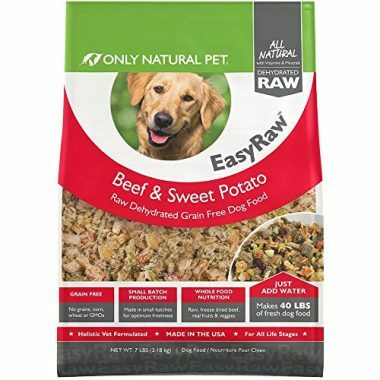 The key ingredient in Only Natural Pet Food is raw meat. Complete nutrition, including protein, amino acids and digestive enzymes are provided by grass fed beef. 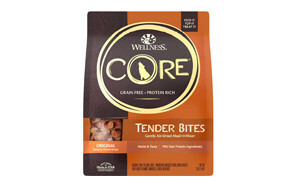 All the ingredients used are human grade, ensuring only the best for your pet. They are also cooked gently to ensure that they retain as much of their goodness as possible. All ingredients are GMO free and the recipe includes no fillers, by-products, additive, or artificial colors, preservatives, or flavors. When choosing the best dehydrated food for your dog, it helps to know more bout the food, how it is made, the benefits of using this type of food, and how it differs from other types of food. In this buying guide we look at these questions and provide the answers you need to make an informed decision about the food you offer your canine companion. Dehydrated dog food is simply food that has had the moisture removed from it. The processes used to dehydrate not only preserve the food but also lock in the nutrients found in the ingredients. Dehydration is one on the oldest known forms of preservation for food. By slowly heating the food and removing moisture the growth of microbes like bacteria is stopped. This is what stops the food from going bad. It is the same principle behind drying and salting meats for human consumption. There are numerous benefits to dehydrated dog food, both for the producer and your dog. Dehydration is one of the cheapest and easiest ways of preserving food. This reduces much of the costs of manufacturing the food and means that food producers can focus their time, effort, and finances on finding premium quality ingredients. Quality ingredients are key to the benefits your dog gains from the food. While the drying process locking in more nutrients than other production methods, those nutrients must be present in the raw ingredients in the first place. For this reason, quality meat cuts, and organic fruits and vegetables are generally the key ingredients in dehydrated food. Just as with any other high-quality food, the main ingredient in dehydrated food should be a meat protein source. Dehydrated foods do not require fillers, so there should also be no meat by-products, and there is no need for grains such as wheat or corn to be present. This means that dehydrated food is less likely to have a negative impact on your dog’s digestive system. As the dehydration process acts as a preservative, there is also no need for other preservatives to be added to the food. This ensures that nothing artificial is added to the food and further reduces the risk of your dog suffering a negative reaction to the food. To be used as a completed and balanced food on its own, dehydrated food must be properly rehydrated before it is served to your dog. The need for water to be added to the food provides a further benefit in that it reduces the risk of your dog becoming dehydrated. This can happen especially if your dog is fed a strictly dry dog food diet and is not offered continual access to fresh drinking water. Many dehydrated foods are designed so that they can be used as either a standalone or can be added to wet food to provide a change in flavor and offer your dog a different texture to enjoy. Where the food is used in this way, drinking water must be provided at all times. Dehydrated food is also convenient for owners. It takes up much less cupboard space than dry food and has more nutritional value than both wet and dry food of the same quality ingredients. It also provides much the same level of nutrition as a raw food diet, but without the mess and time required to prepare meat and ensure that your dog is getting the full range of proteins, vitamins, and minerals they need. This means owners spend less time worrying over their dog’s health, and ultimately save money on veterinarian bills. Of course, one of the key benefits of using dehydrated food is taste. As well as losing little of its nutritional content, food treated and preserved in this way loses little of its taste. This means that once you find a taste your dog loves, you can easily recreate that taste at every meal time. Dehydrated food is ideal for fussy eaters for this very reason. How Air-Dried and Freeze-Dried Dog Foods Are Made? Dehydrated food, as we have discovered is food that has had the moisture removed from it in order to preserve the food and its nutritional content. However, there is more than one method for producing this outcome, and the term dehydration is often applied to foods that have been air-dried and to foods that have been freeze-dried. To make matters a little more complicated some producers differentiate between these two methods and dehydration. To try and make matters a little clearer, here we consider the difference between air-dried, freeze-dried and dehydrated food. When dog food is freeze dried, all the moisture from the raw ingredients is removed from the food, while the food is still in a frozen state. Taking this approach means that the food does not need to be cooked before it is preserved, thus keeping it as close to its natural raw state as possible. To achieve this the ingredients are mixed together and frozen. The moisture is then extracted using a combination of low temperatures and pressure. This liquid from the food is changed from solid to gas, bypassing its liquid state. By doing this, owners can be assured that the food was never exposed to a temperature above freezing. In turn this reduces any risk of microbial growth or nutritional degradation. Dehydration involves the raw ingredients being subjected to a very low heat over a long period of time. Through this process the moisture is drawn out of the food. While heat is used, and therefore the food cannot be considered raw, it is not a high enough heat for the food to become cooked either. This means that it maintains similar levels of nutrients, amino acids, enzymes and vitamins to raw food. Air drying raw pet food involves removing the moisture through evaporation. The process is very similar to that of dehydration but is completed without the addition of heat. For this reason, air-dried food is often referred to as dehydrated. Using air significantly reduces any damage to the nutrients, enzymes, proteins, and vitamins contained in the natural ingredients. This means that your dog is getting nearly all the benefits of a raw food diet. Air dried pet food also retains its conformation quite well, resisting any crumbling that may result from freeze-dried food.